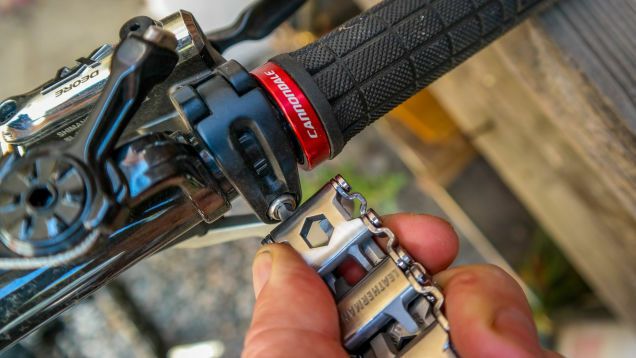 The Leatherman Tread is a multitool that features 29 different tools, even a bottle opener, which link together to form a very sleek-looking bracelet. Each one of the links of this bracelet is made of strong stainless steel and is backed by Leatherman’s 25-year warranty. warranty will fix or replace them for you. Yet, the Leatherman Tread is most likely not meant to be used for big jobs, but rather to be carried around in case any one of the 29 tools becomes needed for a quick fix. On a trip and need a screwdriver quick? The Leatherman Tread will come in handy for that. The size of your wrist is what will determine just how many tools you will be able to carry with you at one point. The Tread can be adjusted to match any sized wrist by removing links, but this also means you will have to choose which tools to remove and which to keep. 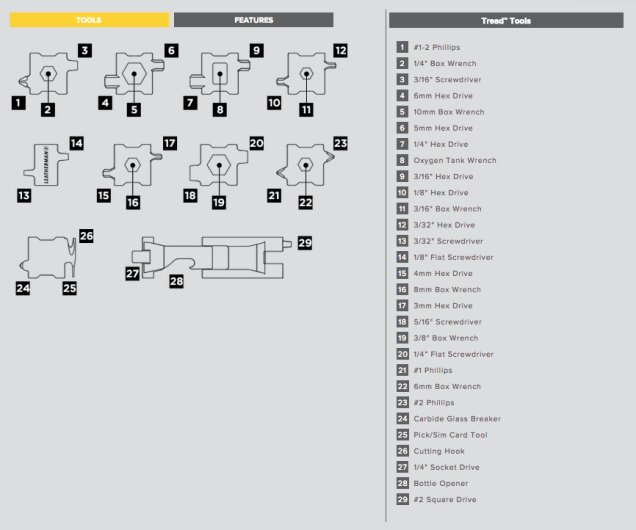 The links are all clearly labeled so there is no guessing games when removing links or finding tools fast. Starting at $165, it’s certainly no cheap bracelet, but would make a fun and innovative gift for that person who pretty much has everything. Check out this brief video below about the Leatherman Tread and see what sets it apart from other multitools.